Riding Adventures in Mongolia – Ride, roam, rest, relax, repeat. That is a brief summary of your riding day on our treks in Gorkhi Terelj National Park and into the Khentii Mountains wilderness. Its a great cycle, one that leaves you with a memorable experience of your riding vacation in Mongolia. You are probably tired at the end of a day of riding, and roaming to explore, but at the same time invigorated by the experience of riding an amazing horse through a great landscape. Individual attention and our 30+ years of experience, knowledgeable guides and skilled horsemen, quality equipment, and good food, and drink, make sure that both your day in the saddle and the time in camp are enjoyable. Its an important part of our horseback expeditions design that you have sufficient time to take in the landscapes, time to relax in nature and with your fellow riders, time to get to know your horse, time you may want for yourself. While we make good distance on some days, and move camp on most days, we also take days where we ride from our established tented camp. To roam in the endless grasslands, to explore and enjoy – the land, the horses, ourselves. Join us on one of our Riding Adventures in Mongolia – Ride, Roam, Rest, Relax, Repeat! One guest called his riding adventure with Stone Horse “The Ultimate Riding Experience”. 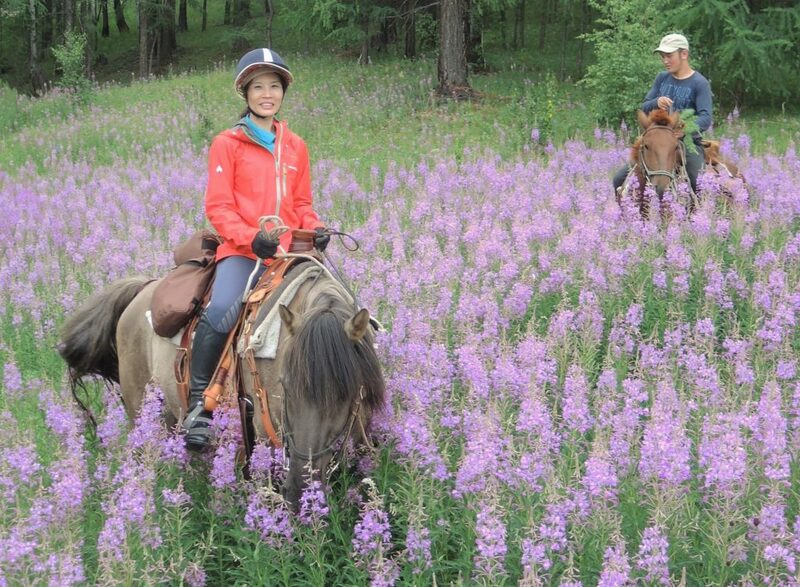 See why other guests enjoyed their horseback experience in Mongolia.